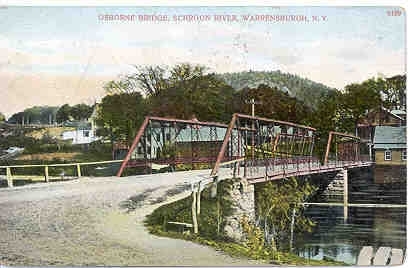 A bridge crossing at this location dates from the first half of the nineteenth century. 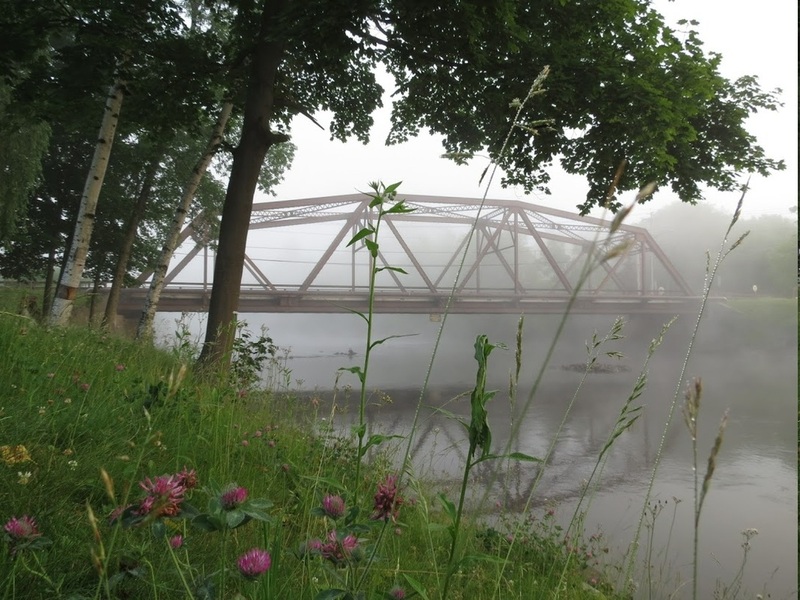 The present contributing through Pratt truss steel span bridge dates from c.1930 and is an intact and significant resource relating to the development of transportation in the hamlet. 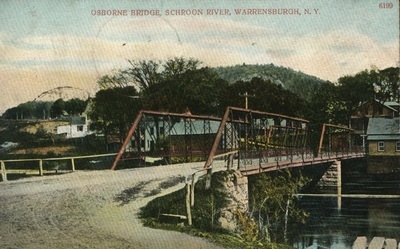 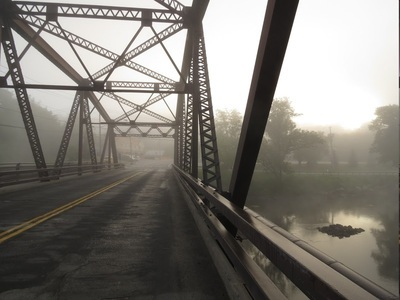 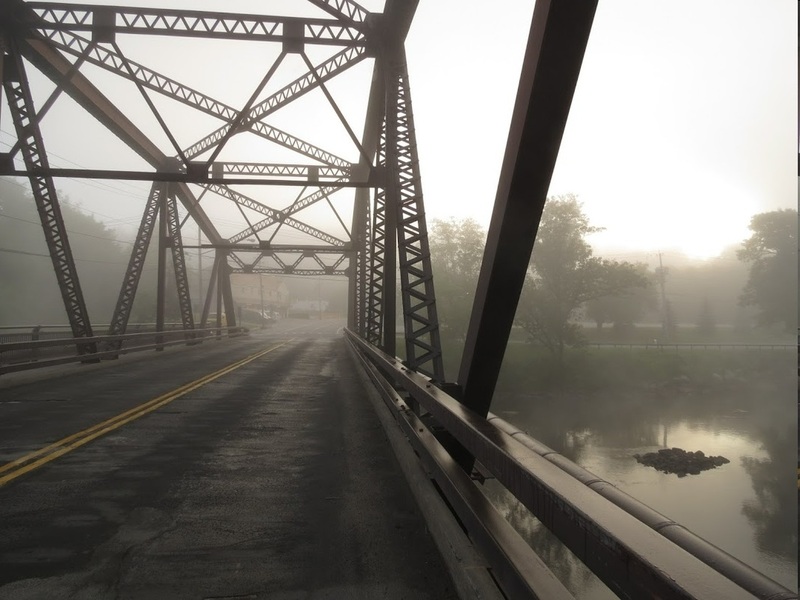 The Osborne Bridge crosses the Schroon River, connecting Elm Street, Water Street (and, later, Richards Avenue) to the industrial area - the gristmill, sawmill and shirt factory, as well as residential areas, on River Street. It was named for James Osborne, a member of a prominent family who operated the store at the foot of Elm Street. The date of the previous bridge, swept away during the flood of 1869, is not known. The bridge built by Ira Cole (1847-1936), as Commissioner of Highways, in 1887 received new planking in 1904, 1912 and again in 1916, and sidewalk repairs in 1893 and 1923. In the winter of 1932-33 the bridge was damaged and closed to vehicular traffic pending construction of a new bridge. 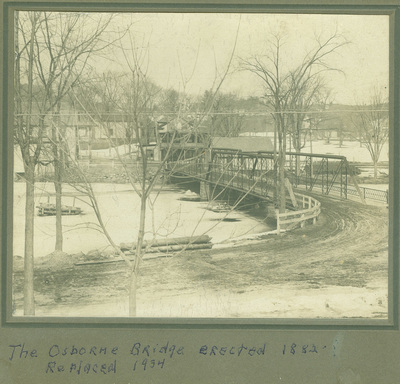 Its replacement in 1934 was realigned to be perpendicular to the river and in line with a new street cut through the William B. Isham estate from Main Street. 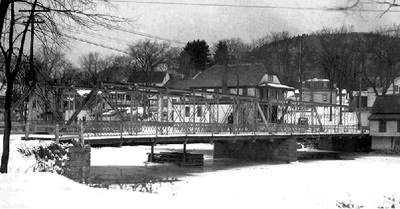 In 1937 the "new street" was officially named Richards Avenue by the Town Board, but continued to be referred to by locals as "New Street" for at least a decade. 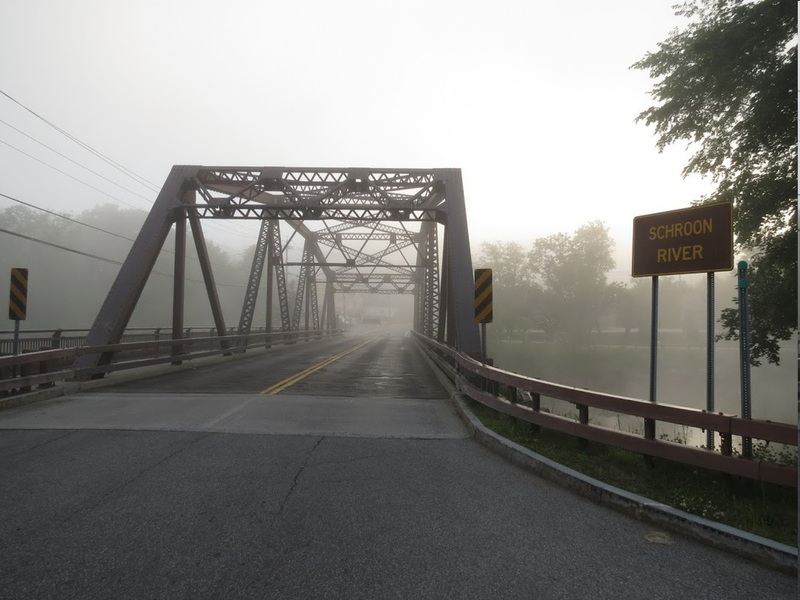 When the town's wastewater treatment plant was built in the late 1980s, a pipe was added to the bridge to carry the effluent across the Schroon.